1Flight delays will become even more frequent! 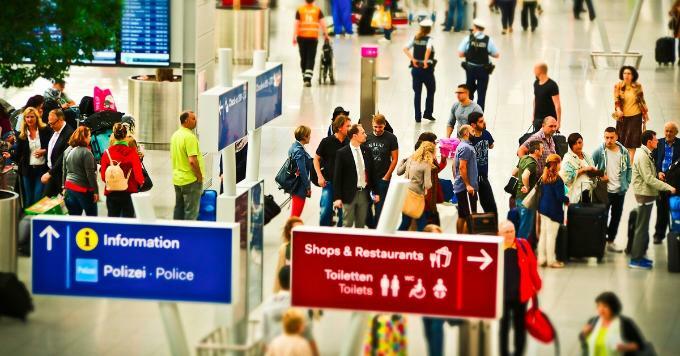 When a passenger is entitled to a compensation and when not, is determined by different circumstances that led to the delay or cancellation of the flight. When the passenger is entitled to a compensation, he can expect 250 euros for flights up to 1,500 kilometers, for flights over 1,500 kilometers 400 euros if the delay is at least of four hours. For flights exceeding 3,500 kilometers, the compensation is up to € 600, but only if the flight is not entirely within the European Union or the participating 31 countries and if the delay is at least of six hours. To help you navigate through all the different rules and regulations, we have made a compilation, which covers the most visited countries and regions. Take a look and click HERE. If your flight is delayed (sometimes also due to strikes), you can also miss your GoOpti transfer! The driver cannot wait for you, as it is a shared transportation, where the time requirements of all passengers are to be taken into account. But even in such cases, there is a solution to ensure that you will not be left without a transfer in any case. It is called the Absolutely No Worries Package, which you can select when purchasing a GoOpti transfer from 3 eur. If your flight is delayed due to strikes, the package will provide you with a new GoOpti transfer or another alternative transport. You will also be entitled to a new transfer if your flight gets postponed, canceled or redirected to another airport. For more information about the Absolutely No Worries Package, click HERE. Before setting off on a journey, it is also reasonable to buy a travel insurance. In addition to health care, some packages also cover costs incurred through flight delays. Reimbursements usually include meals, drinks, transportation and hotel expenses incurred when a trip's departure or return is delayed for a covered reason. However, if you want to enforce the right to get the reimbursement, it is important to save all the original bills and obtain an official certificate from the carrier confirming the flight delay. It is always a good idea to take any additional precautions to make our journey safe, smooth and without unnecessary complications. Therefore, brace yourself with useful information and make sure your bookings are covered.